Tyrrellite: Mineral information, data and localities. Informally named by S.C. Robinson in honor of Joseph Burr Tyrrell (November 1, 1858 Weston, Ontario, Canada - August 26, 1957), geologist, Geological Survey of Canada. Tyrrell was an early explorer and surveyor of northern Canada, especially the area between Lake Athabasca and Hudson Bay. Robinson & Brooker (1952) gave a partial description of an unnamed selenide from Ato Bay (TL2), which according to Harris (1970) was later informally named tyrrellite by Robinson. The name appeared in Hey (1963) and Sendeeva (1964) without explanation. It was formally confirmed as a new species by Harris (1970), who completed the full description of the mineral on material from the Eagle claims (TL1) (Horváth 2003). 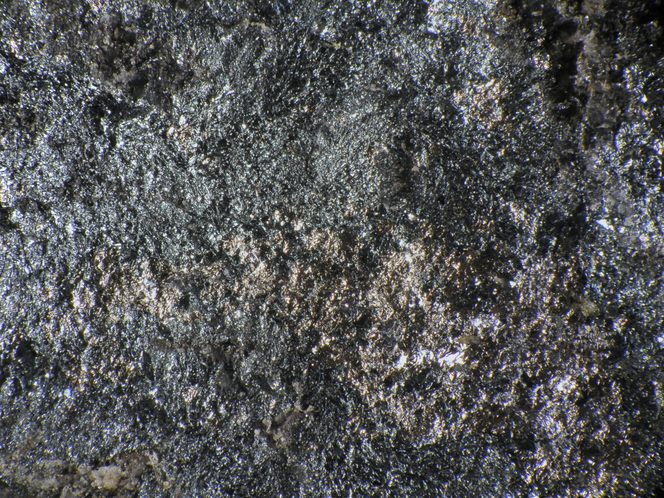 Se analogue of carrollite and Co analogue of nickeltyrrellite. Unique combination of elements. Occurs as small grains that look like clausthalite without the cleavage. Chalcomenite 3 photos of Tyrrellite associated with Chalcomenite on mindat.org. Umangite 3 photos of Tyrrellite associated with Umangite on mindat.org. Athabascaite 2 photos of Tyrrellite associated with Athabascaite on mindat.org. Berzelianite 2 photos of Tyrrellite associated with Berzelianite on mindat.org. Clausthalite 1 photo of Tyrrellite associated with Clausthalite on mindat.org. 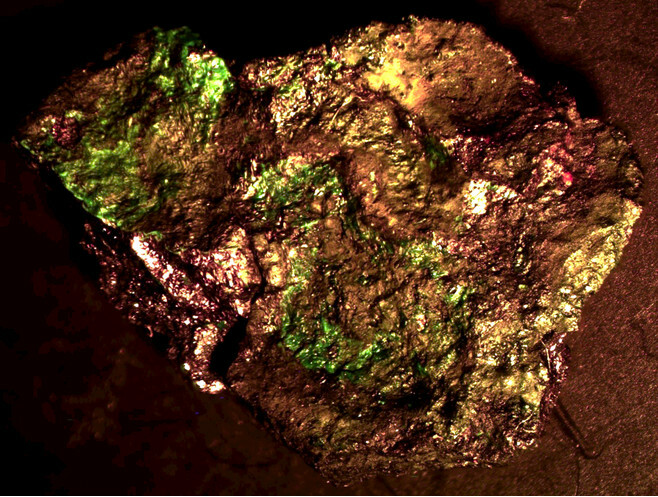 Gold 1 photo of Tyrrellite associated with Gold on mindat.org. Penroseite 1 photo of Tyrrellite associated with Penroseite on mindat.org. HEY, M. (1963) Appendix to the Second Edition of an Index of Mineral Species and Varieties Arranged Chemically. British Museum, London, U.K. (6, 128). Sindeeva, N.D. (1964) Mineralogy and types of deposits of selenium and tellurium. Interscience Publishers, John Wiley & Sons, New York. (77-78). HARRIS, D.C. (1970): New data on tyrrellite. 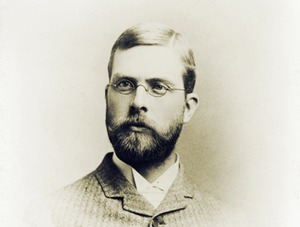 Canadian Mineralogist 10, 731-736. Paar, W.H. et al (1996) Revista de la Asociacion Geologica Argentina, 51, #4, 304-312. ROBINSON, S.C. & BROOKER, E.J. (1952): A cobalt - nickel - copper selenide from the Goldfields district, Saskatchewan, Canada. American Mineralogist 37, 542-544. HARRIS, D.C. (1970): New data on tyrrellite. Canadian Mineralogist 10, 731-736. ; ROBINSON, S.C. & BROOKER, E.J. (1952): A cobalt - nickel - copper selenide from the Goldfields district, Saskatchewan, Canada. American Mineralogist 37, 542-544. HARRIS, D.C. (1970): New data on tyrrellite. Canadian Mineralogist 10, 731-736. ROBINSON, S.C. & BROOKER, E.J. (1952): A cobalt - nickel - copper selenide from the Goldfields district, Saskatchewan, Canada. American Mineralogist 37, 542-544. HARRIS, D.C. (1970): New data on tyrrellite. Canadian Mineralogist 10, 731-736. Heider, J. & Siemroth, J. 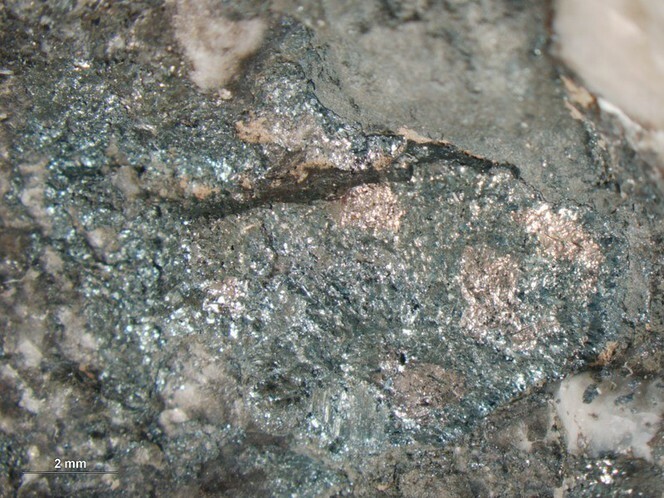 (2012): Die Selenidmineralisation im Grauwacke-Tagebau Rieder bei Gernrode, Harz. Aufschluss, 63, 213-223.